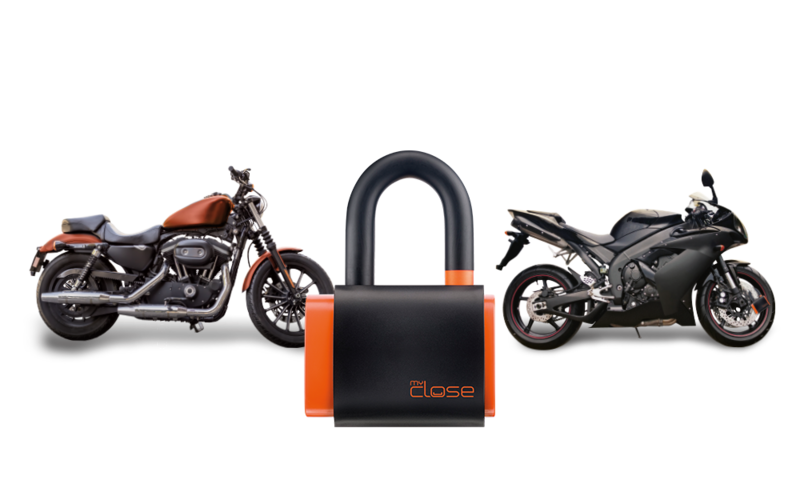 MyClose is a smart motorbike lock that calls you on your mobile phone. But how does it work? 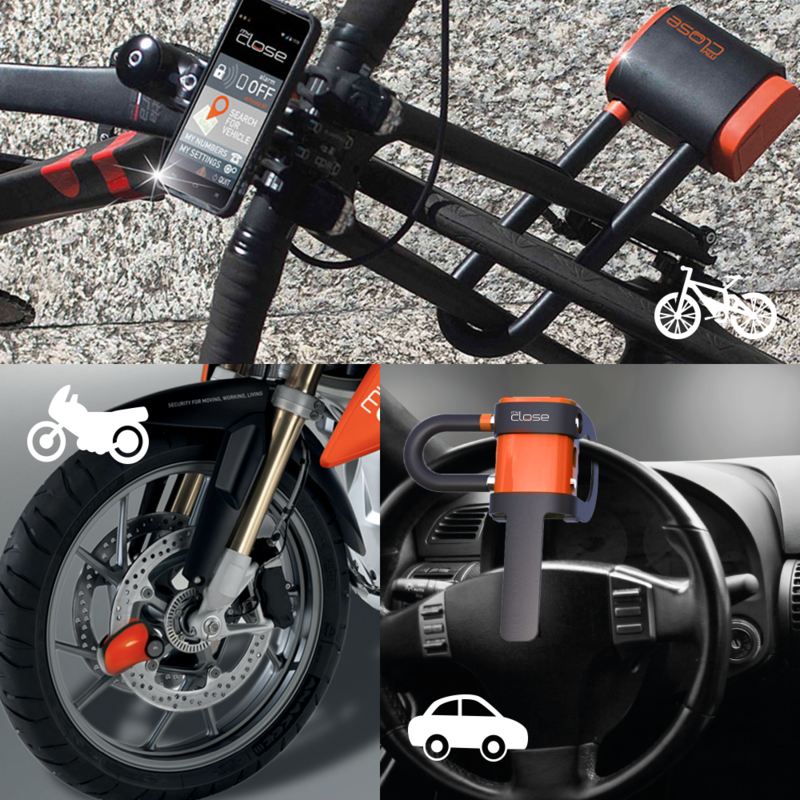 The motorbike lock and the motorbike brake disc lock are able to detect movements: unauthorized movements of the lock are interpreted as theft attempts and trigger real time alarm to your mobile. Together with the alarm, the position of your vehicle is also sent to your phone. To maximize the protection up to 5 numbers to be contacted. 3. Your smartphone, where you receive the alarms. Geo-localization functionality for vehicle tracking. MyClose is a true prevention system with purpose of avoiding theft. The system is much more than a regular tracker: regular trackers enter into action only when theft has already happened. MyClose system instead relies on mechanical and communication protection to reduce drastically the risk of theft. 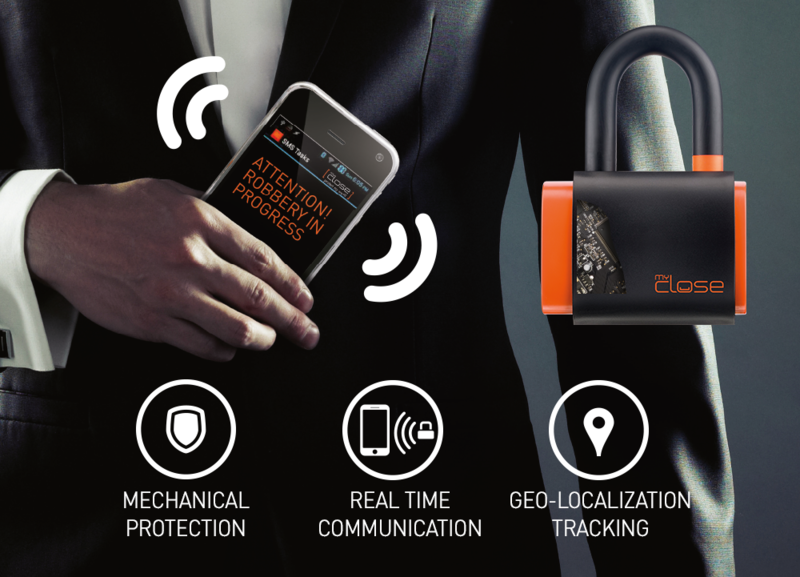 Then, in case somebody tampers with and attempts steeling your vehicle or in the unlucky event your vehicle gets stolen, MyClose geo-localization functionality enters into action by communicating the vehicle position. 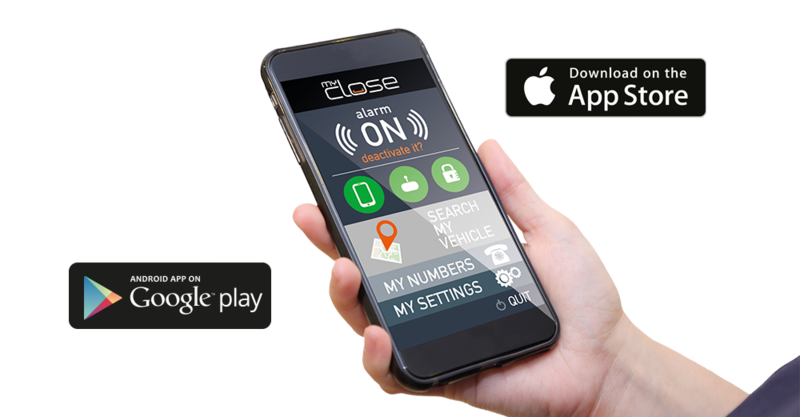 MyClose has a deterrent and discouraging effect on the thief that does not know at what distance the owner is when he attempt the theft!! Today our innovative lock initially conceived as a motorbike lock finds many fields of application. You will be able to choose the dimension and the shape of the lock that best fits your needs. – Car locks (with specific accessory to fix the lock to the steering wheel of your car). We have developed a specific lock system with wall fastening gear to protect external building access and internal access to rooms. The App allows you to remotely control your lock system.  Through the App you can: activate/deactivate alarms, insert the numbers to be contacted, change the lock sensibility and select the security profile that best fits your need. Besides, through the App you can request the position of your vehicle whenever you want to know it. This functionality can be very useful if you can’t remember where you parked it. MyClose lock system is portable and does not require any installation. You use it for your vehicle of today but you can also use it for your vehicle of tomorrow.